In the video game industry, an important measure of a game’s success is its sales. Of course the extent to which players of the game are engaged in it and give it positive reviews supports the sales of the game and its popularity. But if a million people buy a commercial game and only 100,000 people actually play it from start to finish, the game is still a commercial success for the company because it is more important that one million people shelled out some cash for the game. For those of us who make serious games, we would be ecstatic if one million people actually bought our game (and we got a cut of the profits). But this isn’t usually how the serious games business works for most of us in it. We should be very focused on measuring the success of our games by how much they lead to improved learning or changing behaviors. As such, we often design our serious games assuming that the players must be exposed to most if not all aspects of our game in order to see these improvements. For us, if people have access to our game but do not play it enough for us to see a result, we have failed. A 10% game completion rate is actually very common in the commercial game industry even with best-selling titles according to industry insiders. I will answer this question by first explaining how serious games are different from commercial games. First, commercial games often have low completion rates because the games consist of hours and hours of gameplay. Most commercial video games are priced similarly so that the cost-conscious consumer will buy the game that offers them the most hours of fun for the price. Developers will therefore design many levels in a game to create as many hours of fun gameplay as possible within the budget they are given. Serious games do not need to include hours and hours of gameplay because their consumers are not necessarily looking for hours and hours of gameplay. It may even be counterproductive for a serious game to require hours and hours of gameplay to see an effect if the target group has a limited time to devote to playing it. It will also be quite costly and inefficient in a learning sense for a serious game to plan to have hours and hours of gameplay if the target group can achieve a learning goal in a short amount of time with less gameplay. So how do we figure out how much of a game someone has to play in order to see the outcomes that we desire? I wrote a post on dosing studies a while back. In it, I explain why we need to do research on how much you actually have to play a game in order to see an effect. I have a specific example that I hope will show the value of doing dosing studies on serious games. In the research that my colleagues and I published on Re-Mission, a game designed to improve treatment adherence among young people with cancer, we asked participants to play the game for a total of 12 hours over the course of their 3 months of participation in our study. We found that participants who played Re-Mission showed improved treatment adherence compared to controls whether they played for 6 hours or 12 hours. Even though this evidence is correlational, it does suggest that even smaller “doses” of the game had an impact on outcomes. 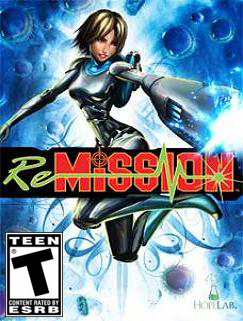 For me, this meant that serious games did not necessarily need to have hours and hours of gameplay like we had in Re-Mission in order to have effects. This further meant that effective games could be developed for much less money because their scope could be smaller. This, however, does not mean that this dose-response rate can be generalized to other games. We need to conduct dose-response studies on each individual game and eventually we will have enough evidence to be able to make some generalizations about how much one would need to play certain types of games under certain circumstances in order to see certain responses. The other thing we need to do when we make serious games is to make games that even non-gamers can complete. Completing the game should not be about how well a player can play games. It should be about how much the player is mastering content embedded in gameplay. 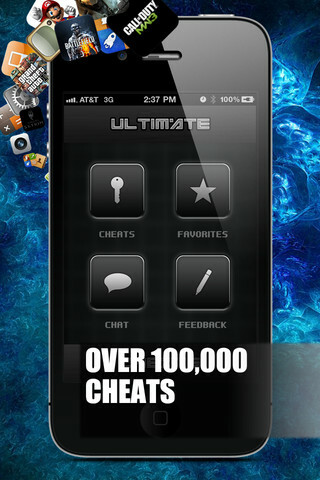 Thus, cheats and the ability to adjust difficulty levels should be easily accessible. The game should also have been tested for usability so that any areas of the game that continually frustrate players and lead to confusion or the urge to quit playing are addressed. 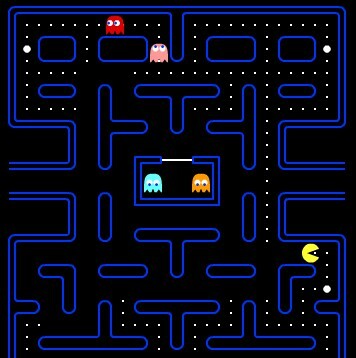 Players of serious games are less likely than players of commercial games to spend hours replaying a mission trying to beat it, nor should they unless a goal of the game is to assess player persistence. Finally, when we make serious games we should really focus on a fun game mechanic that ties in with the learning and training goals of the game to engage players. Good gameplay can overcome bad graphics, bad audio, and even lack of scope in the game. Good gameplay isn’t necessarily expensive but it does take some thought and a lot of cleverness to find one that will also help you achieve your serious game goals. In short, good gameplay can be cheap, but it’s not easy. This was my oversimplified discussion of how and why we can make more successful games on a shoestring budget. We need to do dosing studies so we can determine and learn more about how much someone needs to play a game in order to see the response that we have targeted with our serious game. We should also make adjustments in our game so that players can play the games to completion. Finally, we should focus on really good gameplay in order to engage players of our serious games as much as possible. It therefore looks like it is going to take researchers working with usability experts in collaboration with game developers and designers to give just the right dose of our serious games to have an impact. Do any of you out there have any other thoughts? Please feel free to share your comments below. If serious games are seen as a means to an end, rather than the end unto itself, I think your above points come into sharp focus. As part of some “containing” activity (playing the game within a curriculum for example) they can play one or more of the following roles: introducing concepts, expanding concepts, reinforcing concepts, and assessing learning. I think they are at their greatest risk when they are allowed to “float” around waiting for people to latch on to them without any defined learning objectives (of the player). I agree. I think you are making the point though that the games really need to have a “home,” say in a curriculum, even before they are made. I think that would be the ideal situation. I agree with you that the more you can specify up front the better. I also think that some things need to float because it is not always apparent what kind of gameplay is going to work to reach the goals. But this is still saying that the goals need to come before the gameplay/development process. Previous Previous post: Games and aggression: Is it a bad thing?